Why isn’t New York City the Capital of the World. Has anyone of you ever thought which city on this planet could be considered to be the capital of the world? The first thing that probably comes to everyone’s mind is New York City. It is not a bad guess. New York City is a great metropolis located in the world’s most influential country. It is a place where all the cultures meet and where some of the most famous cultural events of this planet happen. The United Nations Headquarters is there and the Wall Street which is almost the beating heart of the world’s financial markets is also in New York City. New York could most certainly be characterized as the cultural or even the financial capital of the world. But which city is the political one? Judging by the importance of decisions and the scale of their impact on the planet it is a city which actually is not that far from New York City. It is the capital of the United States of America, Washington D.C. Think about it for a minute! 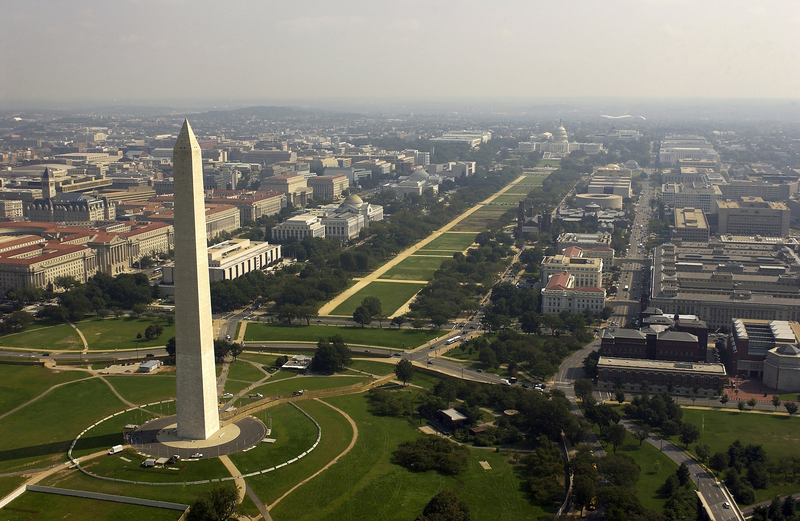 Washington D.C. is the capital of the world’s most powerful nation. The White House, The US Congress, The US Department of State, The US Department of Commerce and The Pentagon are all located in this city not far from one another. The decisions taken in the White House by the most powerful person on Earth have a tremendous effect and can directly orindirectly affect the lives of all the people on this planet. On the other end of the Pennsylvania Avenue in Washington D.C., the American Congress takes decisions which determine the direction in which the USA is going. This again has a tremendous effect on the world. Only few blocks from the White House is the US Department of State which executes the US Foreign Policy. This policy affects International Relations and influences the foreign policies of every other country on Earth. The US Department of Commerce, the US Federal Reserve and the US Treasury make the decisions that influence the US Economy and the trade that the USA does with the rest of the world. These decisions have a vast influence on the World Economy and thus the livelihoods of almost every single person on Earth. Finally, located on the other side of the Potomac River south of downtown Washington D.C. is the Pentagon which directs the world’s most powerful army and is able to deploy it anywhere on Earth. This probably affects people’s lives over the rest of the Earth the most. So in brief, just few blocks from one another in the same city are the places where some of most influential decisions on this planet are taken. This truly qualifies Washington D.C. as the capital of the World. Some could of course argue that there are many other places on Earth such as New York with the UN, Brussels in Europe, Moscow or Beijing in which decisions taken there have a great effect. Certainly. But none of those cities can compare itself to Washington D.C. No other place on Earth has so many agencies so close in one place with influences of such a vast scale. Moreover, Washington D.C. is also the place where some of the greatest universities focusing on International Relations, Political Science and Diplomacy are located. According to Brzezinski being a graduate of one them is a must in order to be successful in International Politics on the highest level. Apart from universities, Washington D.C. is the place where some of the most known and most influential foreign policy think-tanks are located. Every major international lobby and business lobby has an office in Washington D.C. Many international organizations such as the IMF or The World Bank have their headquarters in Washington D.C. And of course every country has an embassy in Washington D.C. If you are a student of International Relations or if you are into politics or even just into business Washington D.C. is the place to be. That is why I really appreciate my time here in Washington D.C. as a student of IR. By coming here you meet people from all over the world and from every single area of IR. Washington D.C. truly is the Capital of the World.